A great card stock to use for invitations, announcements, tags, packaging, card making … the list is endless. Pair it with our range of embellishments for that unique touch. Smooth finish. Size: Approx A4Color: Black*Thickness: Approx 220gsmQuantity: 10 sheets in a pack *True color/s may vary slightly from what you see on your screen ..
A great card stock to use for invitations, announcements, tags, packaging, card making … the list is endless. Pair it with our range of embellishments for that unique touch. Smooth finish. Size: Approx A4Color: Black*Thickness: Approx 300gsmQuantity: 5 sheets in a pack *True color/s may vary slightly from what you see on your screen ..
A great card stock to use for invitations, announcements, tags, packaging, card making … the list is endless. Pair it with our range of embellishments for that unique touch. Smooth finish. 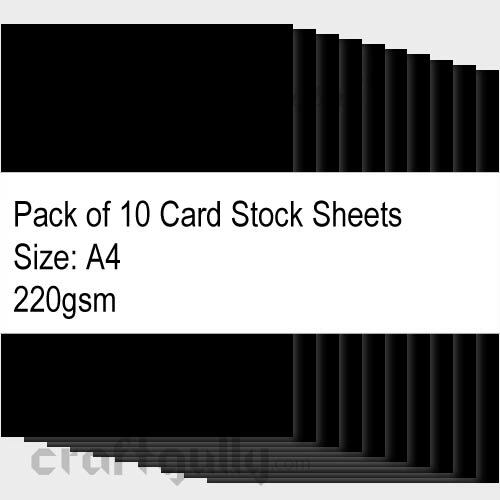 Size: A4Thickness: 400gsm approx Quantity: 5 sheets in a pack True colors may vary slightly from what you see on your screen ..
Add shimmer and sparkle to your card-making, scrapbooking and paper projects with these smooth, heavyweight, dual-sided metallic card stock. Size: A4Colour: 10 Random Assorted colours. Some colours may differ from what is shown in the image. 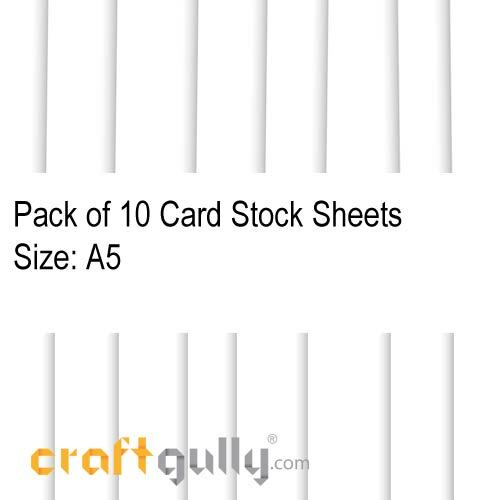 Same color on both sides.Quantity: 10 sheets in a pack (1 of each color)Thickness: Approx 250gsm *Colors shown are indicative, and may differ. 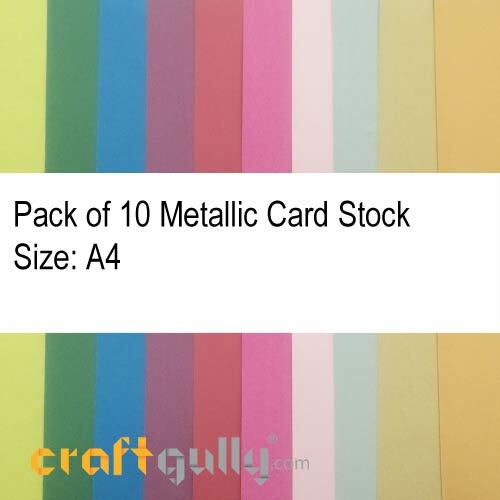 ..
Add shimmer and sparkle to your card-making, scrapbooking and paper projects with these smooth, heavyweight, dual-sided metallic card stock. 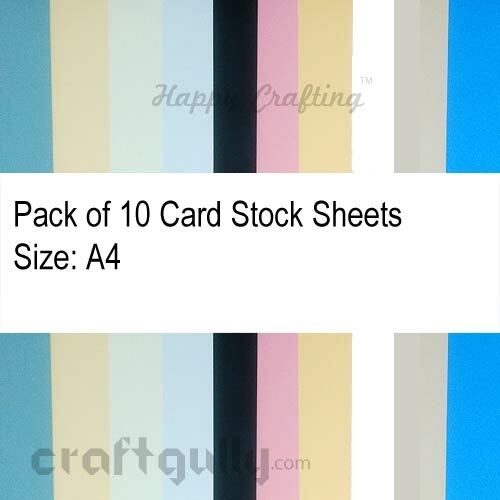 Size: A4 Quantity: 10 sheets in a pack (1 of each color) True colors may vary slightly from what you see on your screen ..
A great card stock to use for invitations, announcements, tags, packaging, card making … the list is endless. Pair it with our range of embellishments for that unique touch. Smooth finish. 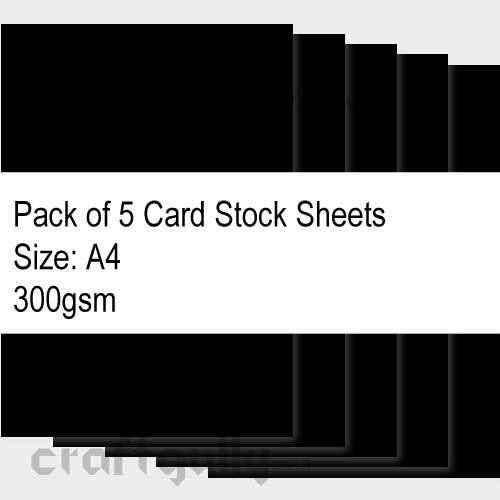 Size: Approx A4 (210mm x 297mm)Color: Random Assorted*Thickness: Approx 220 gsmQuantity: 10 sheets in a pack *Color/s shown in the image are indicative, and may differ from the ones you receive. ..
A great card stock to use for invitations, announcements, tags, packaging, card making … the list is endless. Pair it with our range of embellishments for that unique touch. Smooth finish. Size: Approx A4Color: Snow White*Thickness: Approx 220gsmQuantity: 10 sheets in a pack *True color/s may vary slightly from what you see on your screen ..
A great card stock to use for invitations, announcements, tags, packaging, card making … the list is endless. Pair it with our range of embellishments for that unique touch. Smooth finish. Size: Approx A4Color: Snow White*Thickness: Approx 300gsmQuantity: 5 sheets in a pack *True color/s may vary slightly from what you see on your screen ..
A great card stock to use for invitations, announcements, tags, packaging, card making … the list is endless. Pair it with our range of embellishments for that unique touch. Smooth finish. Size: Approx A5Color: Snow White*Thickness: Approx 220gsmQuantity: 10 sheets in a pack *True color/s may vary slightly from what you see on your screen ..
A great paper to use for invitations, announcements, tags, packaging, card making … the list is endless. Pair it with our range of embellishments for that unique touch. Textured finish. Size: Approx A4Color: Assorted*Thickness: Approx 120gsmQuantity: 10 sheets in a pack *True color/s may vary slightly from what you see on your screen ..
A great paper to use for invitations, announcements, tags, packaging, card making … the list is endless. Pair it with our range of embellishments for that unique touch. Textured finish. Size: Approx A4Color: Assorted*Thickness: Approx 140gsmQuantity: 10 sheets in a pack *True color/s may vary slightly from what you see on your screen ..